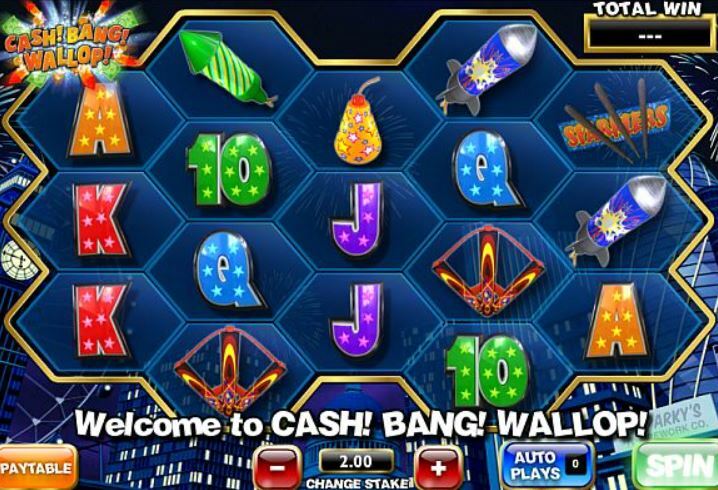 Cash Bang Wallop slot by Ash Gaming is a classic and has a very unusual format – there are 5 reels but the rows are 3-4-3-4-3 and the pays can begin and end from any reel position, therefore there are 118700 possible ways to win! 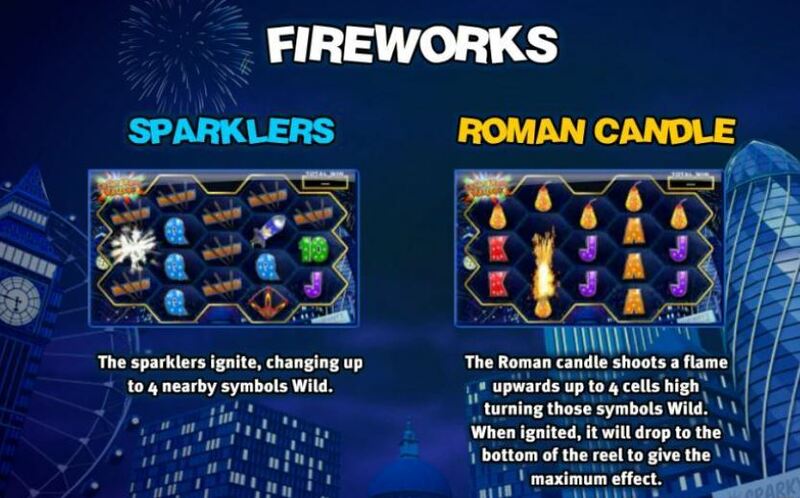 The theme is bonfire night with sparklers and fireworks which trigger some in-play Wilds fun – sparklers can ignite making 1-4 nearby symbols wild and roman candles can shoot up any reel to make it Wild. The RTP is 94.33% and you can retrigger wins too! 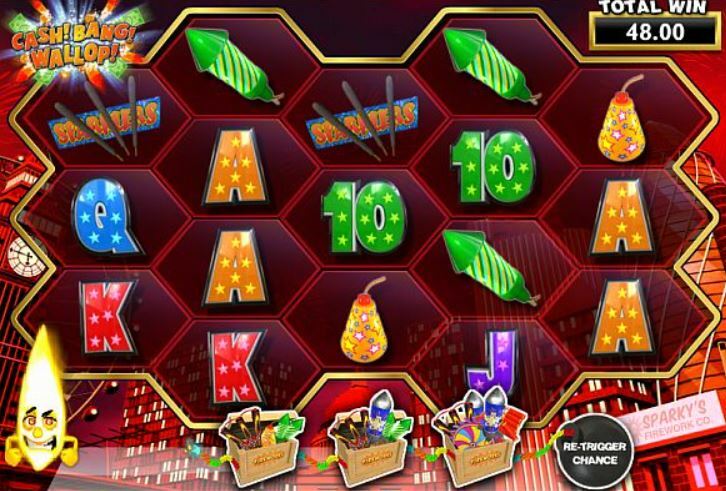 It is a sister slot to Midas Millions which has the same 118700-way format. 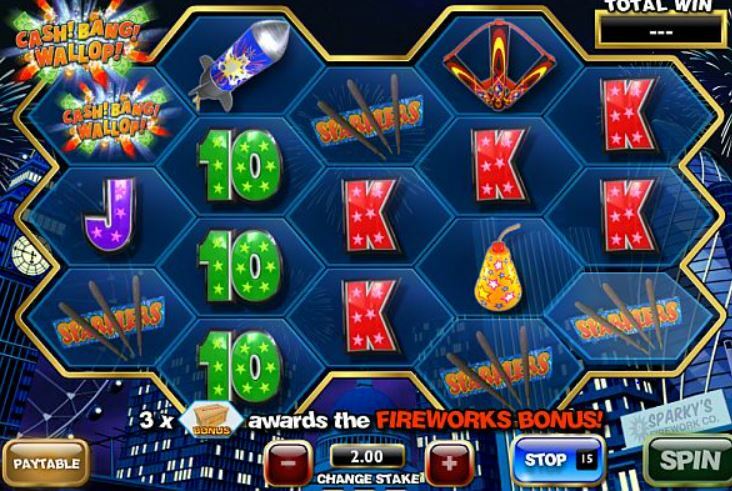 Have some explosive fun with this slot!